Okaaspain, tienda online de bailarinas o merceditas de lona tipo angelito con lazo grande. 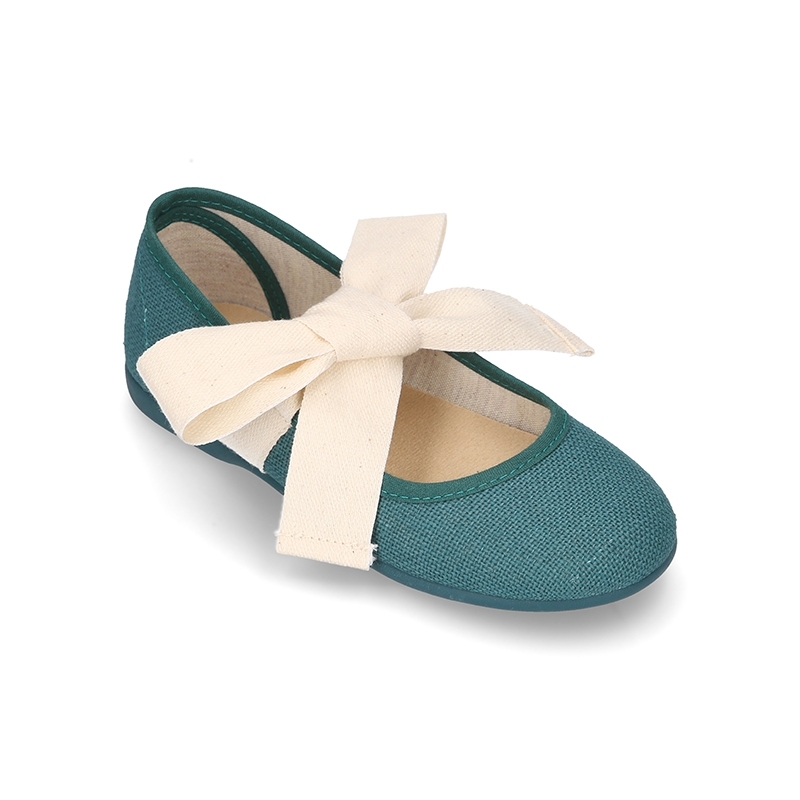 > First Steps>Mary Jane>New Ballet Falt shoes or Mary Jane shoes angel style with big ribbon closure. 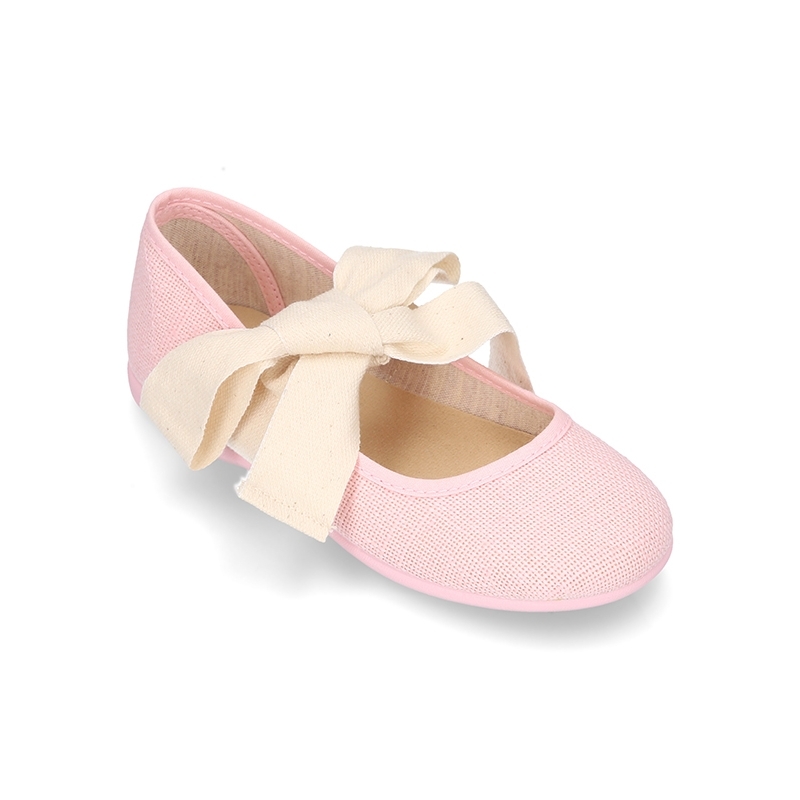 New Ballet Falt shoes or Mary Jane shoes angel style with big ribbon closure. 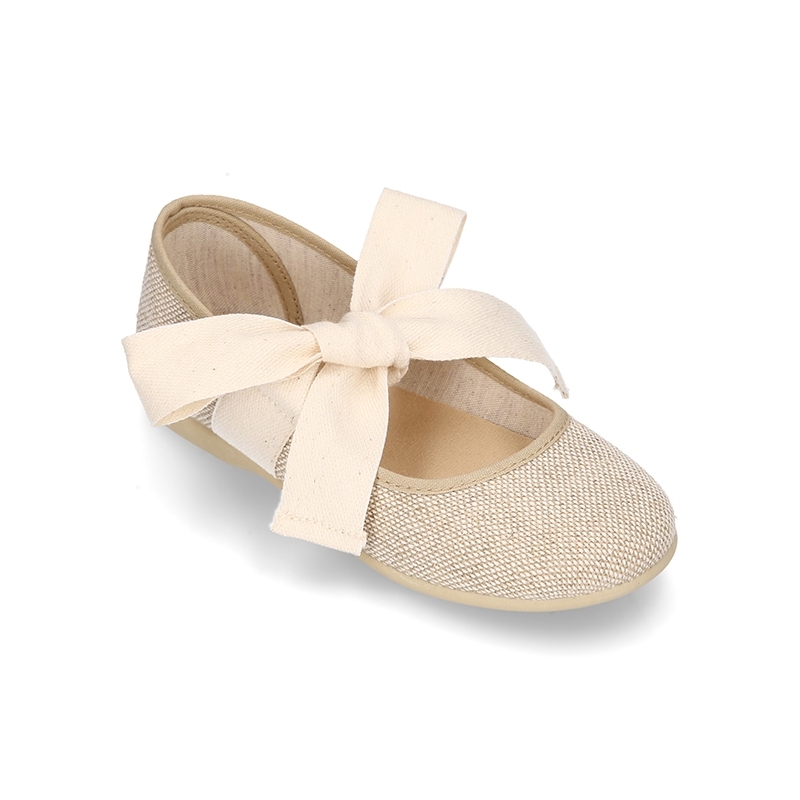 New Ballet flat shoes o Mary Jane shoes angel style in dress cotton canvas with ties closure with big ribbon for girls. 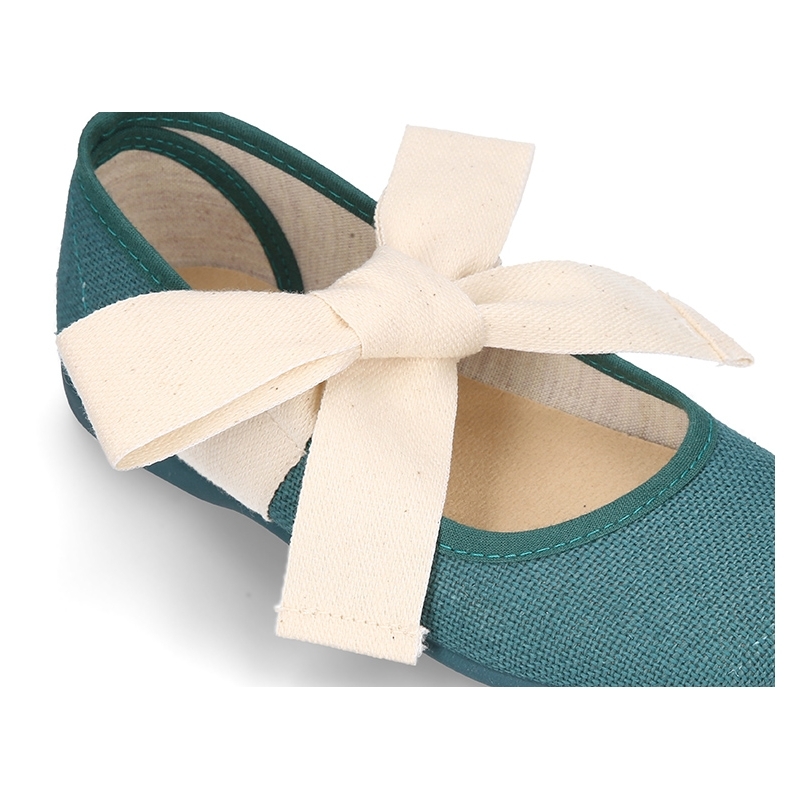 More info about New Ballet Falt shoes or Mary Jane shoes angel style with big ribbon closure. 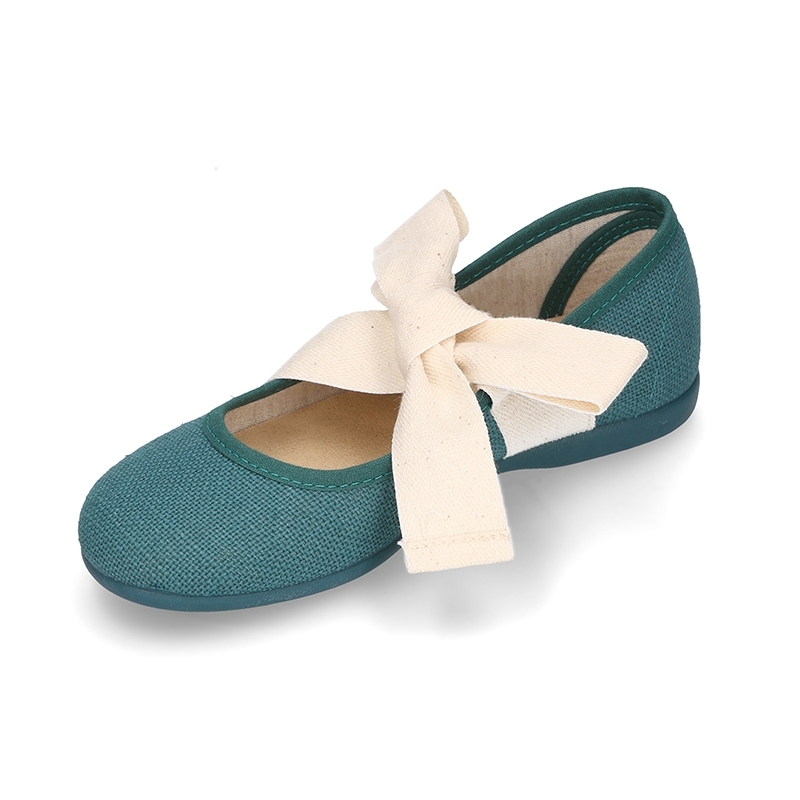 New Special dress cotton canvas Ballet flat shoes or Mary Jane angel style with ties closure with big ribbon for girls. 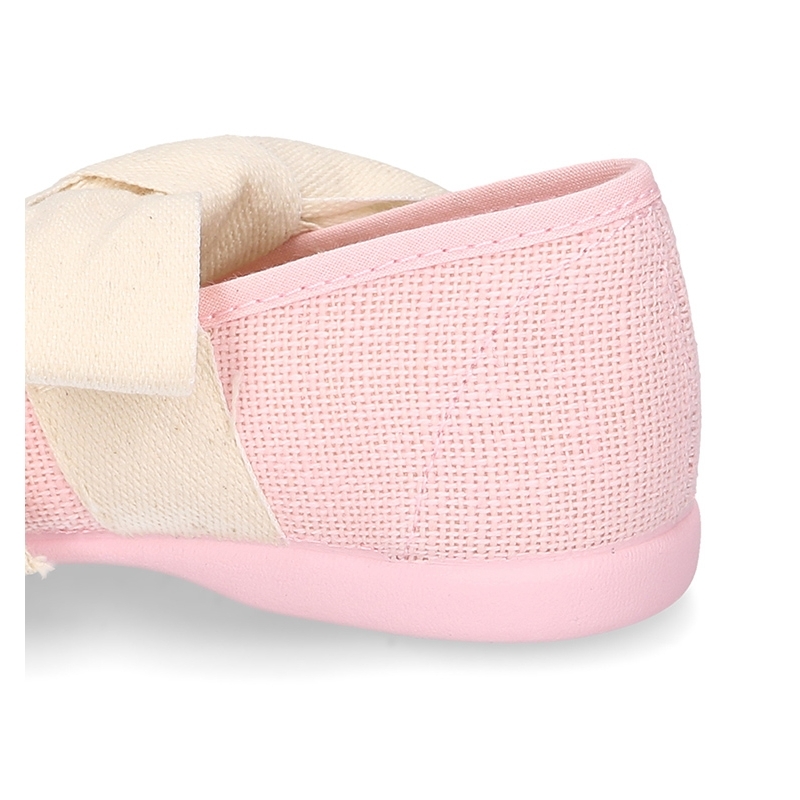 Made up on 100% natural cotton canvas with high finishes. 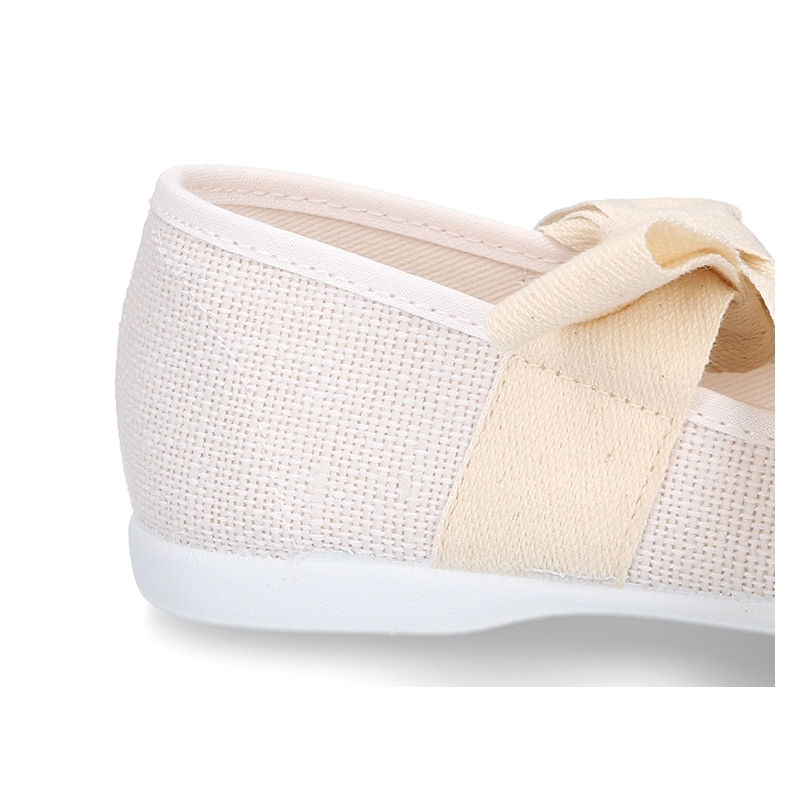 With an Special design cotton canvas for to dress this spring summer in all special occasions. Really smart!. Perfect to mix and macth with all their garments in any special occasion or day a day basis. ItÂ´an updated model, very comfortable, different and perfect for warmer period. With ties closures for a better grip. With big ribbon design to give them a better dress effect look. 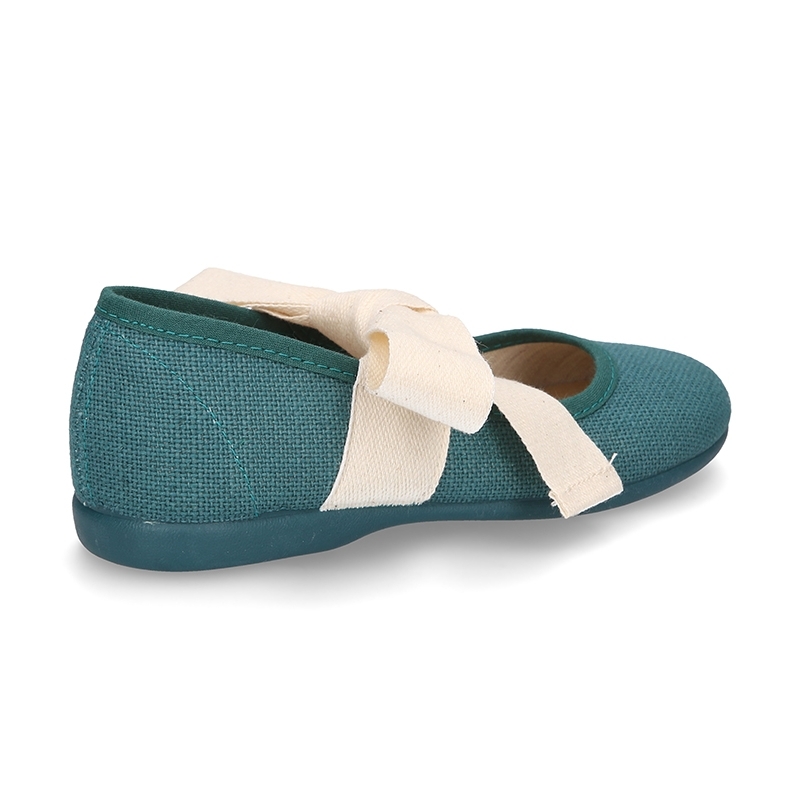 Non slip high qulaity rubber macthing color and totally flexible in order they can walk and play without any problems. Available in 4 colors. Sizes range: from 21 Euro size up to 38 euro size, for all sisters. SIZING REGULAR. Data sheet about New Ballet Falt shoes or Mary Jane shoes angel style with big ribbon closure. Las he comprado, me encantan pero las veo muy sucias para su uso. Cómo podrían limpiarse por favor? Se pueden lavar en lavadora? vais a recibir mas tallas y colores? Hola, son preciosas mas bonitas al natural que en la foto, las niñas estan monisimas. Pero tengo una duda, como se limpian?